Richard Eastmead, former owner of Good Guys Penrith, inspired Gen Y young professionals at Get Ahead 2014. Eastmead challenged aspiring entrepreneurs to do whatever it takes, making sacrifices, if it means reaching greater goals than they ever imagined. 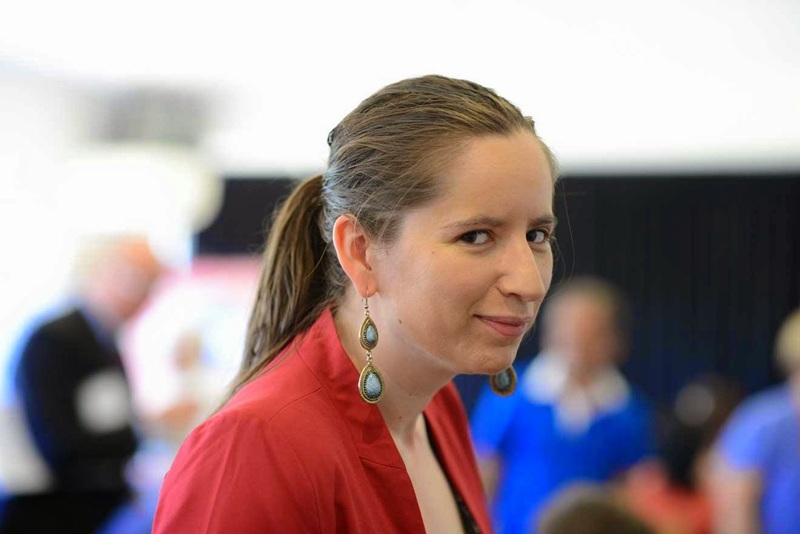 Read more about Eastmead's message at the news blog on the official web site for Sydney City Rotaract. Try everything you want to do. Some projects might achieve their goals. Others may not. You never know unless you give it a go. There are two approaches in life. We can either play it safe, or take a risk. I currently feel quite nervous about moving into my own place, living entirely independently. The uncertainty is endless. There are domestic tasks I will be doing for the first time. I have been moved out in the past, but there were always housemates to fall back on. This is complete independence. Almost. I'm over this whole work-life balance argument. That's highly controversial these days. Let me explain. Activity is fun. I'm not happy unless my calendar is bursting at the seams. It's not about doing things for the sake of doing them. Involvement just feels more comfortable than isolation. My whole adult life, I have never wanted to simply sit and watch the TV. Shows were fine, as long as they were in the background when I created something on the computer. Maybe I have a short attention span. If I'm not doing 5 things at once, something is missing. Long travel times encourage me to do more. Train trips are the times when the Macbook has my full attention. There are no distractions; there is complete focus. My mind just always wants to keep active. My brain also doesn't like to do the one thing all day. It needs variety. I actually need to switch between projects or my mind wanders. Variety keeps my brain awake. Get Ahead 2014 is a truly exciting event for the professionals of tomorrow. Careers are more competitive than ever before. Extra skills are needed for that foot in the door. Our futures are shaped by everything, from appearance and motivation, to finance and entrepreneurialism. That's where the Get Ahead speakers will transform today's young professionals. 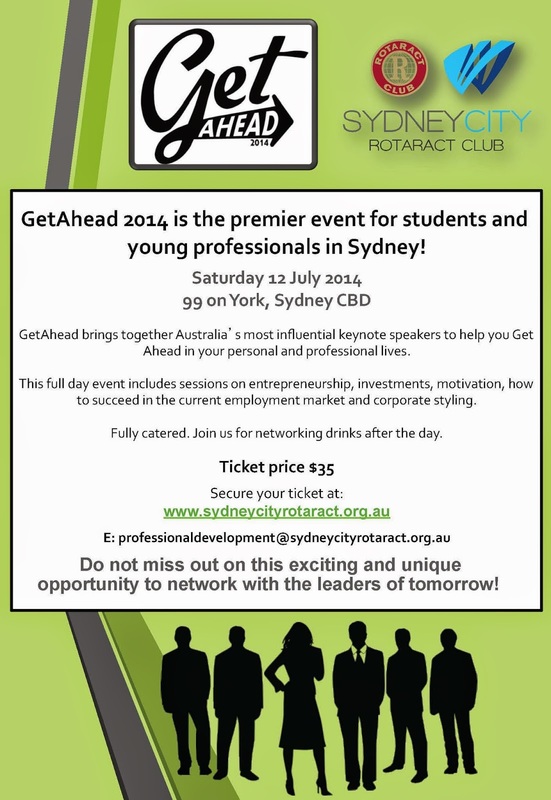 Get Ahead 2014 will be held on 12th July at 99 on York, Sydney. Tickets are available from the web site of Sydney City Rotaract.